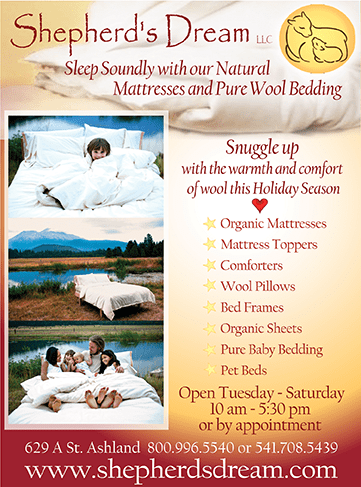 Newly relocated to 42 East Main Street in Ashland, Shepherd’s Dream showroom offers a full line of natural wool bedding and natural mattresses including the all-wool bed, organic latex mattresses, mattress toppers, comforters, pillows, a variety of organic sheeting, natural solid wood bedroom furniture, organic pajamas, wool socks and clothing and other natural bedroom comforts. Shepherd’s Dream began as the work of Eliana Jantz in 1984. Inspired by the simple and elegant Japanese cotton futon, Eliana began to promote alternatives to the typical North American bed. Soon after, she was leading workshops and providing ‘do-it-yourself’ instructions on how to create simple, healthy futon beds. This eventually led to the creation of Jantz Design — where Eliana began selling hand-made cotton futons and wool bedding in Northern California. She was one of the pioneers of organic cotton and eco-friendly wool bedding in the USA. 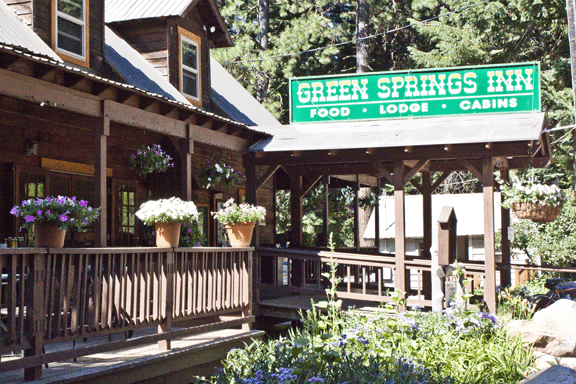 Currently, Shepherd’s Dream is owned by Eliana’s daughter Sarah Sunshine and their products are sold all around the USA and Canada, with its main headquarters and manufacturing located in Montague & Mount Shasta, CA. We visited the new show room to meet with Sarah. Hi Sarah, thanks so much for speaking with us today and congratulations on your great new space. Thank you! I’m excited to speak with you and to and tell everyone about our new store. We are located at 42 East Main Street directly next Martoli’s Pizza, in the old Red’s and Thread’s building. Moving downtown will begin to offer your customers several new opportunities. Please tell us all about it. We are happy to be in a more central location where local’s can easily find us and where we will have the opportunity and serve visitors to the area. Our store is located next to the path leading up to the Shakespeare festival so we are excited to meet theatre goers as well. For the last 6 months, our A Street location was open by appointment only so we are happy to now be open regular hours, Tuesday through Saturday from 11 to 6, making it much easier for our customer’s to come visit. We are also extending our product offerings to include a new line of locally crafted solid wood bed frames, organic cotton robes and pajamas, Icebreaker merino wool socks and clothing, a variety of kids gifts and other hand crafted wool products. We look forward to continuing to expand our offerings based on suggestions and feedback from our customers. Sarah, I’d love for you to give us a tour of the store and introduce us to your products. 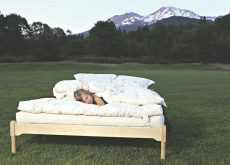 We are continuing to feature our original Shepherd’s Dream wool bed line which includes our 4” Simplicity Wool Mattress and our 5” Premium Wool Mattress, our Snuggle Mate and Travel Mate Wool Mattress Toppers, three different weights of wool comforters, as well as washable wool mattress protectors and a variety of wool pillows and blankets. 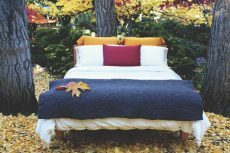 Our original Shepherd’s Dream bedding line is made with locally grown and produced Premium Eco Wool and products are encased in organic cotton. We are also excited to offer a new 100% certified organic wool bedding line of toppers, comforters and pillows for those who prefer. Our wool bed is displayed on a variety of locally-made solid wood slatted bed frames. We are also offering a couple of organic latex mattresses and latex mattress toppers as well as the very unique layered felt bed from Heartfelt Collective. We sell a variety of quality and reclaimed wood frames and bedroom furniture from different local manufacturers. We also offer a line of organic cotton sheets, blankets, towels, pajamas and robes made by Coyuchi. We have Icebreaker wool socks, wool pants, t-shirts, underwear, gloves and hats, and can special order any Icebreaker wool clothing items requested by customers. We also offer some sweet wool crafts, gifts and stuffed animals made by local artisans! So many great items to choose from to turn your bedroom into an all-natural sleep haven. Often times when customers buy an organic or wool bed, they don’t have an opportunity to try it out. 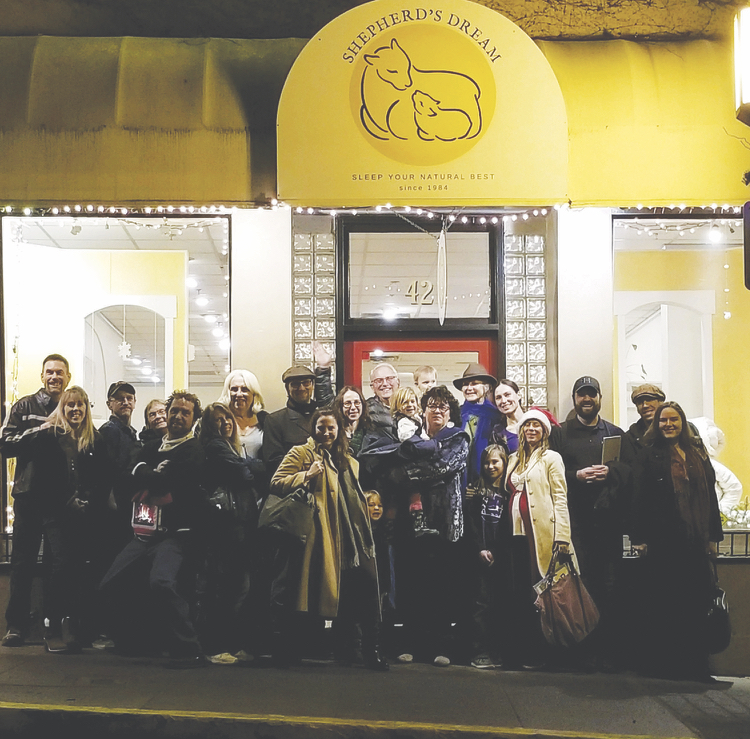 Can you talk a little bit about the opportunity we have in Ashland when buying from Shepherd’s Dream? Yes, we are pleased to provide this opportunity to people who are looking for a new natural mattress to have a chance to lay down on our selection of beds before ordering. For years, we have been doing about 95% of our business online, and shipping these mattresses and other bedding items to customers all over the country who don’t have the opportunity to try out the products before ordering. Luckily, we have had a great success rate with this, but it is certainly most ideal for people to try out their new bed before purchasing, since it is such a big investment and an essential part of living. In our store, we are happy to take the time to create different bed combinations for our customers to try. When layering your natural bed, the perfect combination can be created for everybody. These mattresses are designed to last anywhere from 15 years to a life time, so it is a great idea to lay down on one, close your eyes and really feel it out before purchasing. We encourage customers to spend as much time as they feel is needed at our showroom before ordering, and to come back several times before ordering if that is helpful in making the right decision. Sarah, you have a great line of bedding that is great for children. Yes, we offer a wool filled bedding line for babies and children which includes our wool crib mattress protector, puddle pad, comforter and wool blanket which are all made by Shepherd’s Dream. In addition, we offer a couple of natural latex crib mattresses for babies, organic cotton crib sheets and wool felt pads. Our customers often choose our single size wool mattresses for their growing children as well. It is ideal for children to sleep on firm, breathable beds while growing to help support healthy alignment and deep, restorative sleep. 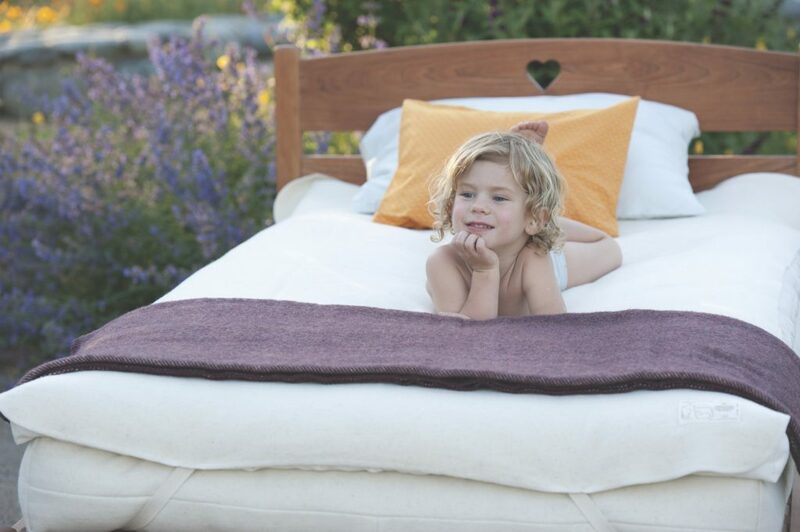 I’d love for you to speak more about the benefits of organic wool bedding for childeren in more detail. Organic mattresses and bedding are ideal for children since they are so much more susceptible to illnesses as they are growing and developing their immune systems. All of the mattresses and bedding that we offer are free from chemical additives including flame retardants. Many people don’t realize that all conventional mattresses are covered with harmful flame retardants and filled with petroleum-derived materials that are outgassing day and night. These chemicals lead to many health problems from allergies to cancers and everything in between. Wool is naturally flame resistant, so our wool mattresses and bedding have passed all the required flame tests with flying colors without any chemicals added! Besides this, wool also helps to calm the body and regulate temperature which helps babies and children to sleep more soundly through the night. Wool in general is simply an amazing natural material. Please talk more about its specific benefits. Something that is truly unique about Shepherd’s Dream is that all of your products are locally grown and locally made. Yes, we are pleased to be producing all our products right here in the USA (Northern California to be exact). Though it is challenging to remain competitive with other natural bedding companies who are producing in Third World countries. We remain committed to keeping our production facilities local with our products being made by well treated, healthy people. Each product is truly made by hand with love. Our raw materials also come primarily from the USA as well. Our beautiful Premium Eco Wool batting that fills all of our products comes from happy sheep who roam open, green pastures in Oregon, California, and Washington. Our other materials are also grown and produced in the USA, including our organic cotton fabric. We are doing our very best at keeping our business local and sustainable, which is a rare thing to find nowadays. For me, one of the most important things about creating anything is the energy that goes into it, especially when it comes to where you sleep. Of course, most beds that are available in the country are made by machines and often in countries where work environments are depressing and spiritless. On the contrary, all of our products are made by real people with love in comfortable work spaces. It is always my wish for each product that we produce to bring great comfort and sweet dreams to everyone who gets to experience them. Part of ensuring this is to allow my employees enough time to produce items without feeling stressed or under pressure. What is most important to me is the quality of the product, not the quantity. I believe that the work environment that we create has a lot to do with how we feel when we work, so it is always my goal to keep my work environments clean, with plenty of natural light and living plants. We are also committed to keeping our work spaces free from perfumes and other strong scents since many of our customers have chemical sensitivities. What is the typical lifespan of your products and long-term benefits? 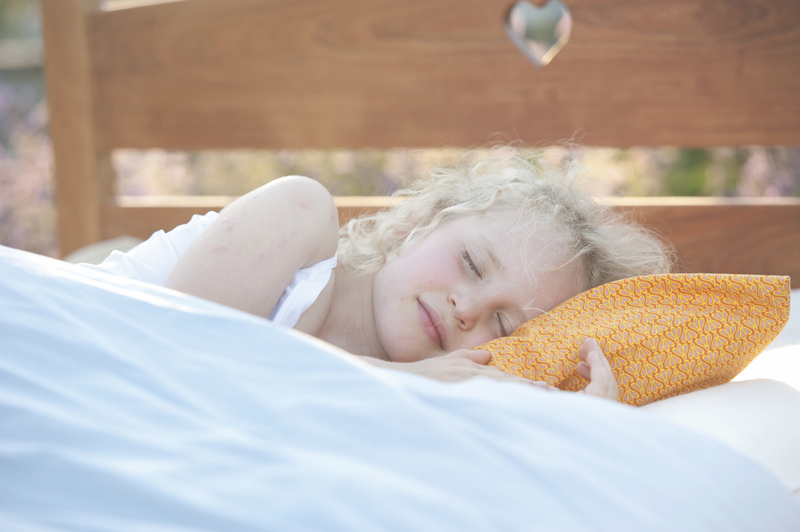 Our mattresses will last between 15 years to a lifetime depending upon how they are cared for. It is important to follow our care instructions to ensure this type of longevity, but these mattresses are designed to last a long time; our wool mattress is of heirloom quality. I have had customers call me up who have had wool mattresses from Europe for 50 to 100 years! There is clearly a problem with the amount of synthetic and plastic products that are being produced today. There really isn’t room for all of the waste on our planet and the manufacturing of these synthetic materials are contributing to global warming. When purchasing natural bedding products like ours, you are supporting an industry that is sustainable and healthy for the planet and the people. And of course, your quality of sleep will be so great that your quality of life is due to be enhanced as well. I think one misconception about wool bedding might be that you cannot sleep with it all year round? Yes, people find it hard to believe, but wool will keep you cool and comfortable during the summertime and warm and cozy during the winter. Wool responds to your body’s unique temperature needs and keeps you comfortable no matter what season it is. This is one of those amazing qualities of wool that makes it so lovable! Another misconception that people often have is that wool is itchy. This can be the case sometime with coarse wools that have been treated with chemicals or dyes. In our case, the wool we use is so pure that it is soft to the touch. Our wool products that are not encased in organic cotton are made of super fine wool that is comfortable and soft to the skin. The majority of our products are encased in soft organic cotton so you won’t feel the wool any way! Our wool is not itchy! On top of your local showroom you also have an extensive website where customers can easily place their orders online. Our website here, is a fully functional and recently updated website with a shopping cart, so people from all over the country can order products day or night. You will find an extensive amount of information on our website, including more details on the benefits of wool, our story, the Woolgatherer Carding Mill, and the materials we use. You can also earn dream points when ordering online which give you cash off future purchases. What are some of your top sellers here in Ashland? Over the years, I would say that our pillows and comforters have been the biggest sellers. Both of these products are amazing! Our wool pillows are affordable and a great way to introduce yourself to sleeping with wool bedding. We have a variety of fills, sizes and styles to choose from so there is a pillow for everybody. We always inform our customers that our wool pillow will compress about 35% over the first year of use so that they can choose their fill amount accordingly. Our wool comforters are one of my favorite items we offer. The All Seasons comforter works great all year round in this type of climate and keeps you wonderfully warm without making you over heat. On really cold nights, a blanket over top of your comforter will make for the perfect amount of warmth and in the summer, you may need to go a few nights without the comforter, but otherwise, this comforter can be used all year round. Once you experience sleeping with wool bedding, you’ll wonder how you went so long without it! 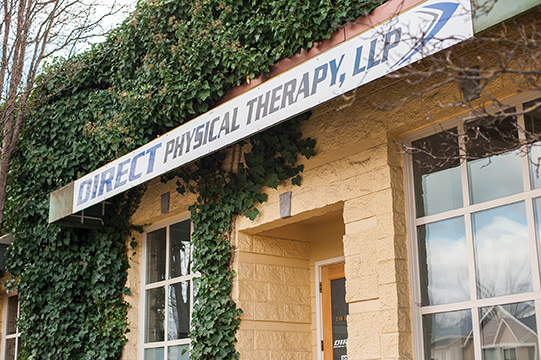 Sarah, how have you seen your company change and grown here in Ashland over the past 5 ½ years? It has been wonderful to experience the overwhelming support from our local community since opening our Ashland store back in 2012. It has inspired us to continue to develop our product line and offerings to accommodate a variety of people and to work together with likeminded companies to bring more great organic and wool products to the local community. We have had a lot of fun over the years with First Friday art walks and getting to know local artisans. This is something we plan on diving fully into with our new downtown location. 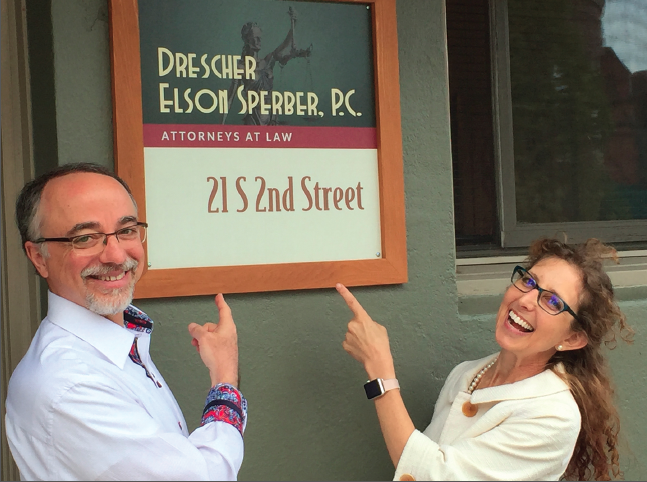 After being an internet based business for over 15 years, it has been fun and refreshing to work face to face with our customers in this beautiful and kind community. Keeping warm in winter is a non-negotiable for many, but keeping the house heat high all night long can be costly. Yes, we would encourage people to buy a wool comforter and turn down the heat at night. It is amazing how warm you will stay with a wool comforter and even more so if you are surrounded by wool with the combination of a wool topper, wool comforter and pillows! We are also strong advocates of wearing wool under layers to keep you warmer during these cold winter days. Our icebreaker wool pants and shirts are a must in our household for wool layering and staying warm and cozy inside and outside. Please tell us more about your company’s mission statement and about the global impact you see that you are having in the world. As cottage industry bed makers, we believe in a cooperative work environment that encourages the unique skills of each individual. With dedication to the highest quality craftsmanship, we create a pure, unique wool bed while providing excellent customer service. As pioneers in the American natural mattress and bedding industry, we strive to demonstrate the use of proper materials, production techniques and lifestyle principles with commitment to sustainable industry practices. ~ This is our mission statement and philosophy. Simple and natural to us, yet often forgotten in this culture. It is sad to witness how the modern world functions when it comes to consumerism, manufacturing and wealth. As Gandhi has said, (and I agree), “Be the change you wish to see in the world”. I believe this is our responsibility as conscious human beings who love the planet we live on. This is what I am committed to in my personal and professional life. I intend to live by this and teach my children to do the same. Part of this definitely lies in what we consume. We are strong believers in making and buying the highest quality products we can find that are designed to last a long time so that there is less waste. We also believe in the importance of using as many natural, biodegradable products as possible and moving away from plastics and other toxic materials that add to global warming and the other challenges we face here on earth. It is our goal to provide products that are made without a harmful impact on the planet, that will last beyond competing products and that will easily biodegrade when they are no longer useful in the home. Finally, I’d love for you to share some customer testimonials with us that speak to the true quality of your product. It is always refreshing and inspiring for us to hear from our customers and their positive experiences. Here are a few of our recent testimonials that speak to the changes that sleeping with wool bedding can make for people. We purchased a 3 inch bed topper, comforter, blanket and sheets from your Ashland store last Saturday. I was diagnosed with Lupus and RA in 2004 and had spent a lot of money buying various bedding, to help with fevers during the nights. I had not slept more than 3-6 hours for 11 years. The topper is amazing. It indeed helps with fluctuating body temperature and is so soft. The comforter allows me to sleep with out tossing off the covers and then waking up to pull them back over me when I am so cold. No more ice packs and heating pads and the best part is I have slept 7-8 hours straight since we purchased our items. I am finally dreaming again which means I am getting REM sleep. My husband will be purchasing pillows today at your store in Northern California. I am sharing this with friends and family. What an amazing product line. Amazing. This wool comforter is so much better than a down comforter. There isn’t that cold feeling when you first climb into bed, no clammy feeling either just a welcoming warmth. Wool really seems better at heat regulation than down. This was a really smart purchase, just wish we hadn’t waited so long to make the switch from down to wool. I have had issues with sleep, night time anxiety, nerve pain and arthritis for quite some time. After receiving my mattress topper from you, gradually, all those issues melted away. I need a very soft bed, and this adds such a layer of plush, I can wake up without being stiff and sore! I notice I sleep much more deeply and for longer periods of time. In closure are there any last thoughts or comments you would like to share with our readers? We are grateful for the opportunity to be a part of this wonderful community and we look forward to meeting more of you as you come to visit our new store. We are here to provide you with best natural sleep solutions we can find and are committed to expand according to your requests and desires. As we continue to embark into a cold and hopefully restful winter season, we encourage you to try a wool comforter, pillow or topper to see what a difference it will make in supporting a truly restorative and restful nights sleep. These long, cold nights are the perfect time to revitalize in preparation for the fresh beginnings and activity of spring and summer. You deserve to sleep your natural best! 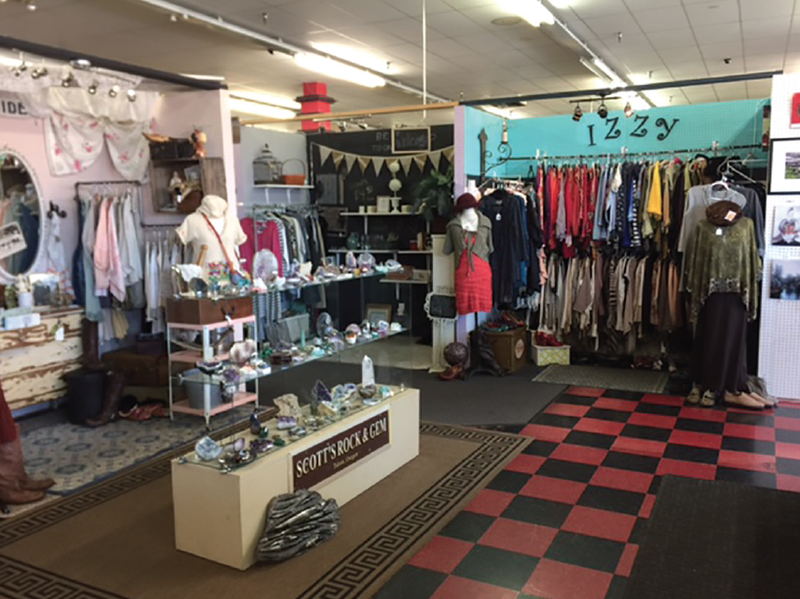 42 E Main St., Ashland, OR. 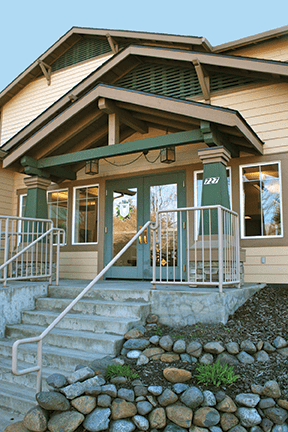 http://ashland.oregon.localsguide.com/wp-content/uploads/2017/12/s_dream_12.jpg 1416 2128 Shields Bialasik http://ashland.oregon.localsguide.com/wp-content/uploads/2018/05/logo-1-300x76.png Shields Bialasik2017-12-31 12:51:492017-12-31 12:51:49Shepherd’s Dream Has Moved to Downtown Ashland! 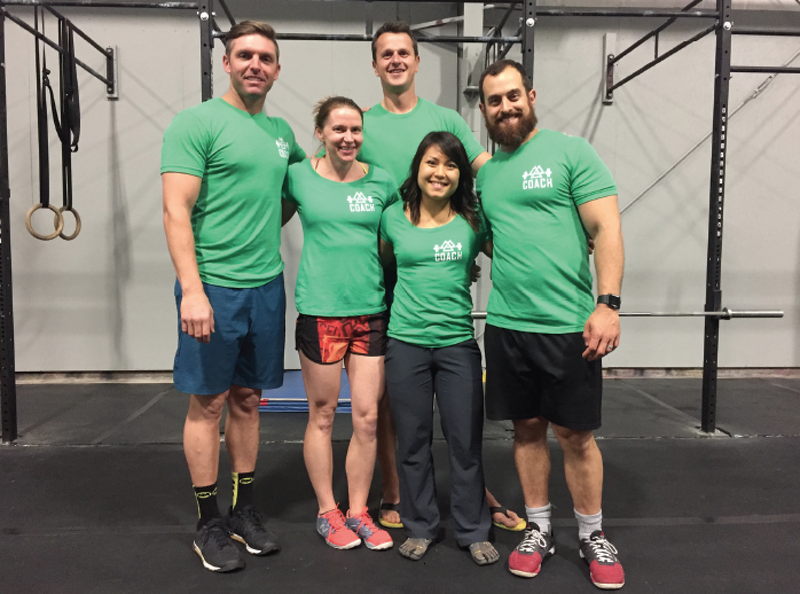 Celebrate the New Year of You with CrossFit Inconceivable!